then you need to invest in gutter solutions from Foregale. If your customers are on the lookout for a long-term solution to their gutter problems, then you need to invest in gutter solutions from Foregale. Existing roof systems can be completely disrupted because of a leaking gutter (or gutters) and the construction industry in England finds itself losing millions each year because of maintenance costs, loss of stock and delays caused by such problems. The main reason that gutters fail and deposit water all over buildings is as a result of joint failure, as well as substrate failure caused by corrosion. However, the climate in England can prove to be quite damaging to buildings and gutters can be destroyed during bad weather – an increasingly common occurrence. The main purpose of a gutter is to protect the foundations of a building by channelling water away from the base, helping to reduce erosion in the process and also preventing leaks from springing up in crawlspaces and basements. 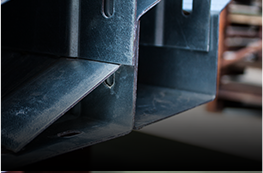 Gutters come in a variety of materials (such as cast iron, lead, zinc, copper, painted steel, galvanised steel, PVC, concrete, wood, stone and painted aluminium), but the ones we have on offer here at Foregale are galvanised pressed steel, available in 1.6mm and 2mm. A lot of roofs are finished off with the “trimline” gutter system as this gives a much better look to the building. These are generally manufactured from plastisol material, usually the same material as the roof sheets that are fitted. Sometimes these are fitted in a contrasting colour to the roofing/cladding for a better effect. 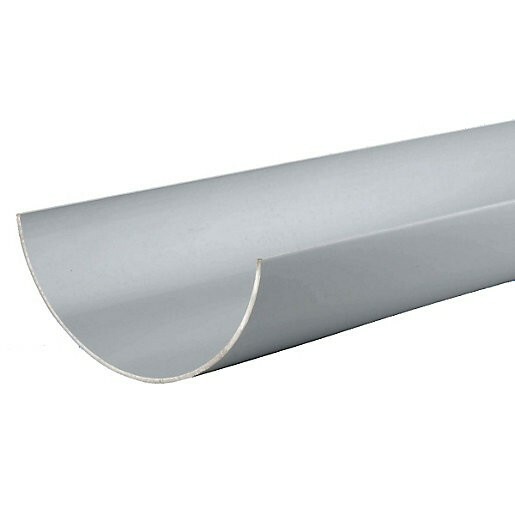 If a basic gutter solution is all you require then we also stock a 6” PVC half round gutter range in grey (Brown or Black also available upon special order). We stock many accessories that are used with this system along with a 4” fall pipe and accessories for finishing off. To further protect your buildings, you could also make use of gutter protection devices like strainers, gutter guards, brushes or gutter covers. These will keep all debris out but all the water to enter the gutter, so regular cleaning does not have to take place. 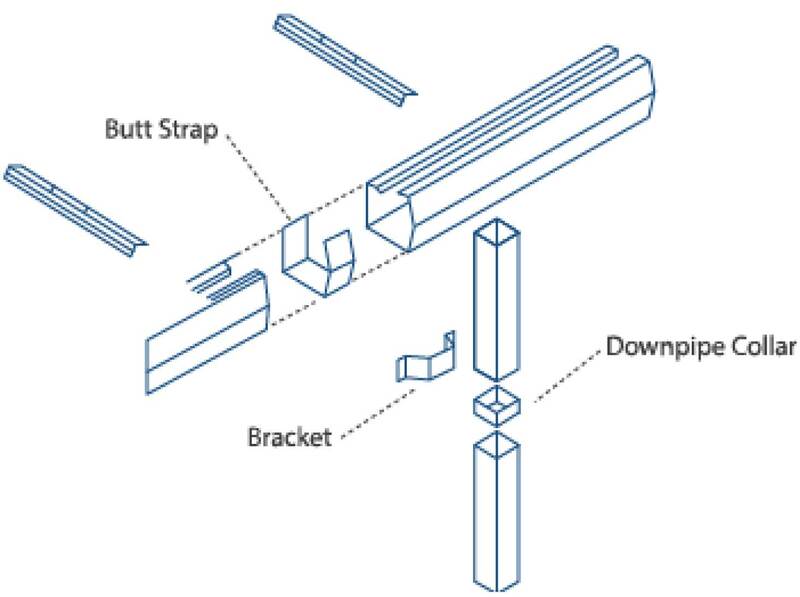 Outlets welded or Loose, Stop ends welded or Loose, Wiers, Conicles and any other specialities can often be provided to customers specifications. Trimline gutter systems give a much better look to the building. These are generally manufactured from plastisol material, usually the same material as the roof sheets that are fitted. We are also stockists of Raintite Fatra coated metal sheeting and can manufacture gutters, loose end caps/outlets. 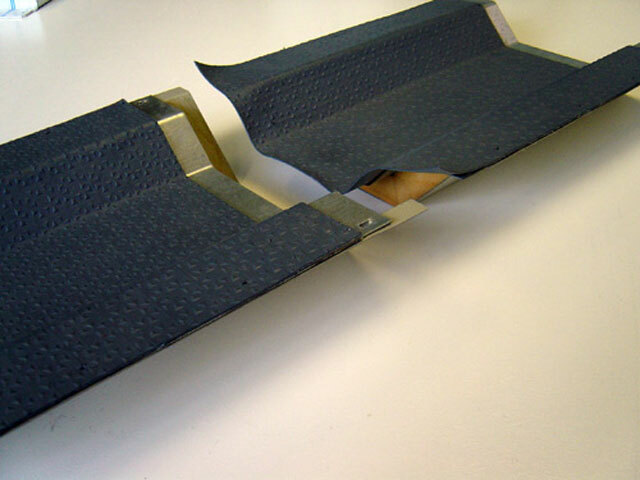 We are also able to supply extra reels of the membrane for on site heat welding. 150mm PVC Half Round Gutters, 110mm Round Pipes plus all accessories.